You'll love the elegance of this Futura Leather Loveseat. The charcoal grey leather appearance is modern, and is sure to complement most all surrounding furniture. This loveseat has a superior look and feel that is easy to notice and appreciate. 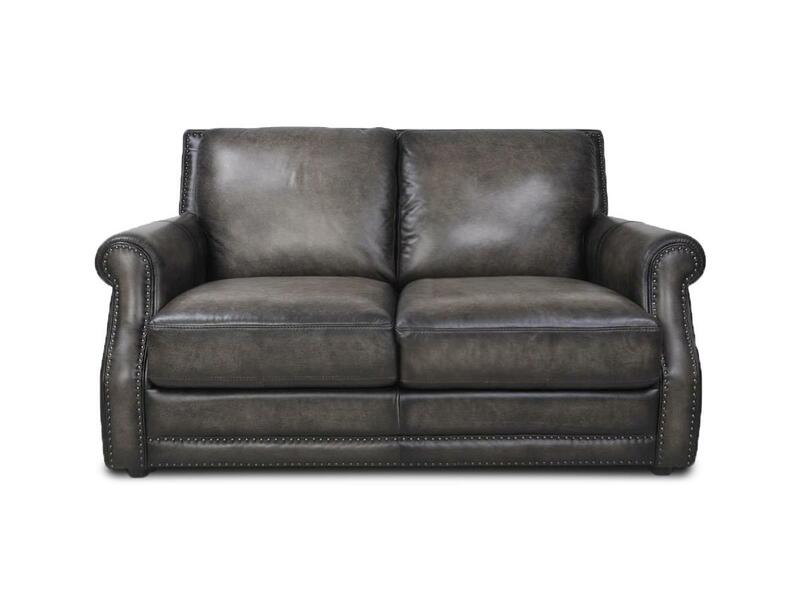 This leather loveseat has classic features, like rolled arms and a nail-head trim, which create a subtle elegance. The slightly tapered wood feet accent the design. With a frame made of strong wood, this loveseat is sure to be durable through many years of use. The Fusion Charcoal Leather Loveseat by Futura Leather at Great American Home Store in the Memphis, TN, Southaven, MS area. Product availability may vary. Contact us for the most current availability on this product.